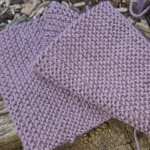 There nothing more frustrating than not being able to find two matching knitting needles when you are desperate to start a new project. I have been in that position many times, most often because I have too many projects on the go or I am using one of the needles as a stitch holder. But sometimes is it simply because although I have several knitting needle holders I forget to put my needles back when I am finished with them! As your collection of knitting needles grows, you are going to have to decide where (and how) you are going to store your needles when they are not in use. 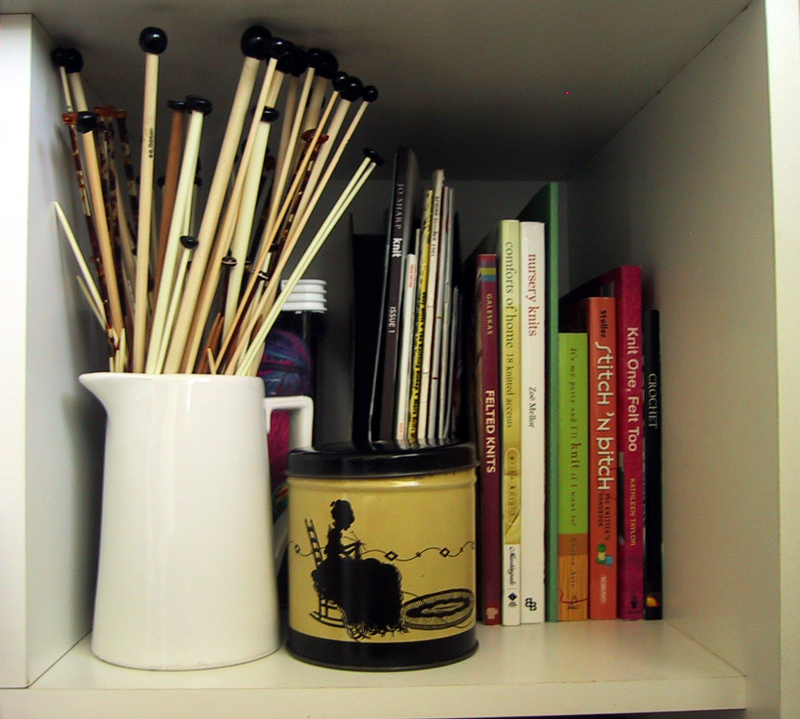 Some people (my mother included) store their knitting needles in a spare vase or a tall jar. My Grandmother used to keep hers in a large ceramic bowl - she had a lot of knitting needles! If you want to use a 'special' knitting needle container there are several different types of holders available on the market, from solid plastic holders like the one in the photo above to canvas rolls or tubes to cloth needle rolls. Each has its own advantages and disadvantages and the choice you make will depend on personal preferences and the size of your needle collection. These cases are great for single and double pointed needles and each case will hold quite a large number of needles. But if you knit using circular needles, then this type of needle holder on its own might not be the best choice for you. 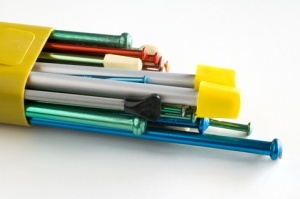 This style of knitting needle case can be found in most good knitting supply stores in Australia. These two are ... and you should be able to get one from any store that stocks items from Birch Haberdashery. If your needle collection is not too big and you need space for your circular needles or other knitting accessories, a needle roll case might be a better choice. This case from Birch has room for at least twelve pairs of needles and has a little bit of room for your other accessories. Alternatively, you could look for a roll case with pockets like this lovely silk one. This case has space for twenty sets of needles (in two rows) and also has three large pockets for your circular needles and your tape measure. Although to be honest, it does get a big bulky when it is full!